When it comes to tax deductions you’re going to hear the phrase “ordinary and necessary expenses” over and over. Unfortunately for you it’s a bit ambiguous—okay, extremely ambiguous! This can make it difficult on business owners to navigate the tax waters and figure out what the heck is going on, and how they can save money. Throw travel in the mix? Well, things just get a bit more complicated. Throughout this guide, we’ll do our best to demystify the term “ordinary and necessary expenses” and provide you with a few key points that will hopefully make your business travel expenses, well...a lot less expensive. Before considering anything else in regards to business travel tax deduction, you need to figure out what your “tax home” is. Anything that happens within this area is not considered travel and shouldn’t be treated as such. The IRS defines your tax home as “the entire city or general area where your main place of business or work is located, regardless of where you maintain your family home.” Business travel related deductions will have to occur outside of this general area. Your means of transportation is tax deductible. Travel fare includes Uber rides, rental cars, and tax rides to get to the airport. You can also deduct the travel expenses of your employee or companion who has an explicit purpose for travel. Before you drop piles of money at some swank out of town steak house, know that only 50% of your travel meals are deductible (including tip and tax). Keep good records of your transactions and make that when formulating your budget, you’re aware of the 50% limitation. Hospitality is a huge part of the travel industry, and tipping off those who are lending a “helping hand” can get expensive quick. Luckily for you, tips are tax deductible and include such things as tax fare, food service, bellboys etc. Travel for deductions is acceptable as long as you can prove that your attendance directly benefits your trade/business. Did the entertainment take place in a clear business setting? Was the main purpose of activity to conduct business and was there an expectation of a specific business related objective? Be cognoscenti that the 50% deduction limit also applies to entertainment. Meetings conducted at night clubs, theaters, or sporting events. Meetings/chats that occur during a social gathering. What about trips that combine business and pleasure? "The primary purpose of a trip is determined by looking at the facts and circumstances of each case. An important factor is the amount of time you spent on personal activities during the trip as compared to the amount of time spent on activities directly relating to business. Travel expenses outside the U.S. may be further limited if any part of your trip is for personal purposes." The IRS suggests the following forms when it comes for travel. We suggest you look them over beforehand to get an idea of what they are looking for. Should you at any time have specific questions, you should refer to the business travel deductions part of their website. Disclaimer: This is not an all-inclusive list. None of these statements are meant to be taken as guarantees for your tax returns. The IRS is its own institution with its own discretions and powers of interpretation. This information is not intended to provide specific accounting advice tailored to your unique situation, or to address specific tax strategies. Please consult with your tax advisor to supplement and verify what would be best for your circumstances. 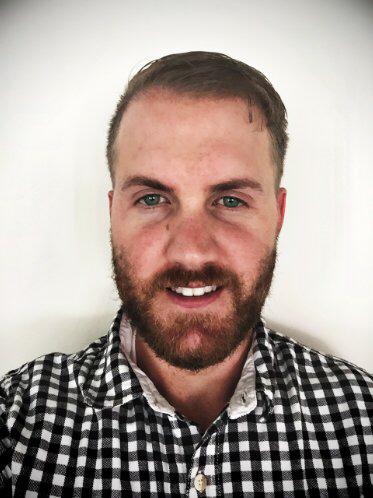 Austin is Head of Content Marketing at the premiere online bookkeeping service, Bookly. When he’s not helping entrepreneurs modernize their accounting solutions, he’s writing about all things pop culture at Pop Ramen News.